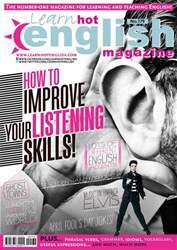 Digital Subscriptions > Learn Hot English > 179 > ARE YOU EATING TOO MUCH SALT? Look at these two pictures of arteries (the tubes that carry blood from your heart to the rest of your body). Which one is healthy? Which one is unhealthy? Why do you think it is unhealthy? What do you think the consequences of this are? What do you think causes it? Read or listen to the article once. Did you find the answers to the questions in the Pre-reading activity? 1. What are the substances that are collectively known as plaque?